Myanmar officially the Republic of the Union of Myanmar and also known as Burma its also called the Golden Land. Myanmar is bordered in north and northeast by China, in east by Laos and Thailand, in south by the Andaman Sea and the Bay of Bengal and in west by Bangladesh and India. • Refreshing towel and mineral water on the sightseeing in private vehicles. Arrive to Yangon in the morning. Welcome by your guide and transfer to hotel. Start your sightseeing with a walk on the street near Maharbandula park where there is a immanuel Baptist Church built in 1830. Then continue to Pansodan street. Pass the building of the Supreme Court, the imposing offices of the Inland Water Transport and the Myanmar Port authority joining Strand Road. Visit to the Kyaukhtatgyi pagoda reclining Buddha image of 70 meters. 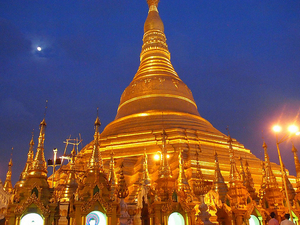 Then continue to the majestic Shwedagon Pagoda where no visit to Shwedagon cannot be considered as a successful trip. Drive to Bago for 2 hours. You will visit the Buddhist academy Thamanay. This monastery is a famous Buddhist teaching center and the residence of nearly 150 monks. 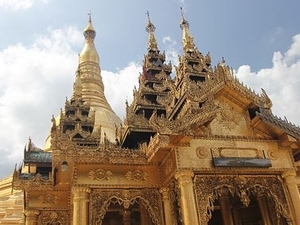 Continue your tour by going to Buddha Shwe Tha Lyaung which measures 55 meters long and towards Shwemawdaw Pagoda whose spire is taller than the Shwedagone Pagoda. After visiting the places in Bago, continue to Gold Rock for more 3 hours, located on the edge of a cliff. 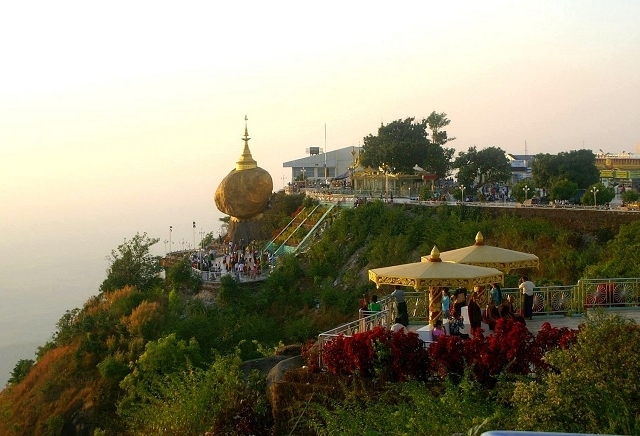 In the early morning, you will have the opportunity to visit Golden Rock again and immerse yourself in its atmosphere full of magic and devotion. After the breakfast, return to Yangon. Distance: 5 hours, 176 km. Fly to Heho by morning flight. From Heho, you will be experienced a lovely scenic one-hour drive which leads to Nyaung Shwe, gateway and small town to Inlay Lake. Along the way, you will have a chance to visit rural workshops that specialize in traditional Shan paper and unique handcrafted umbrellas. Also, stop at the teak monastery named Shweyanpyay to witness the wood carving artwork and craftsmanship of the monks there. Visit Nyaung Shwe city, to the local market where you can have an experience the local lifestyles. After the breakfast, boarding on motorized canoes private to start the sightseeing on Inle Lake. Visit every 5 days market. 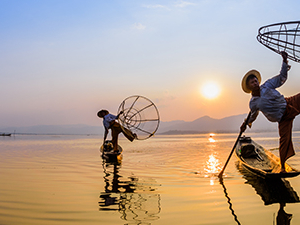 There are also many original and traditional crafts on the lake such as manufacturing workshop of hand-weaving silk and lotus clothes, as well as Burmese Cigar manufacturers. Then go ahead to the Phaung Taw Oo Pagoda, the main sanctuary of the lake. 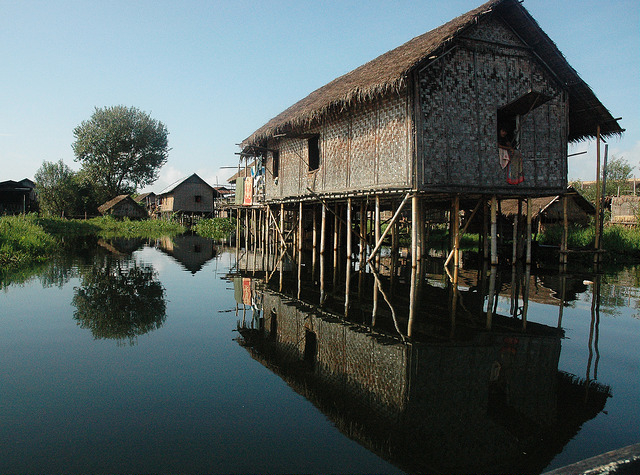 Discover wonderful lakeside villages of Inthar, and their amazing floating gardens. Then visit the monastery Nga Phae Chaung with its collection of ancient Shan Buddha images. In the past, this temple was known for its “jumping cats”. Overnight on the Inlay lake. 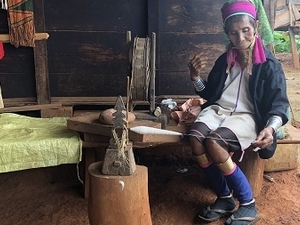 Start your sightseeing to the village of Khaung Taing, located on the west shore of the lake , 10 km from Nyaung Shwe where you can see the small family business such as production of cane candy, sunflower seed for oil and snack and soy tofu. Then continue to Ywar Ma village where you can see Padaung tribes ( long neck ladies ). You can buy some souveniers to encourage them. Go to the workshop of silver. Continue towards the Shwe Indein complex pagodas undoubtedly one of the most amazing sites around the shore of the lake. You can see hundreds of demaged stupas surrounding, covered by vegetation. 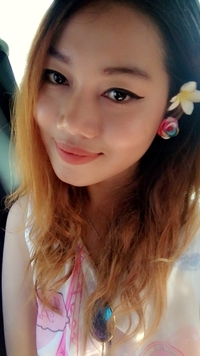 Transfer to the airport and fly to Mandalay. 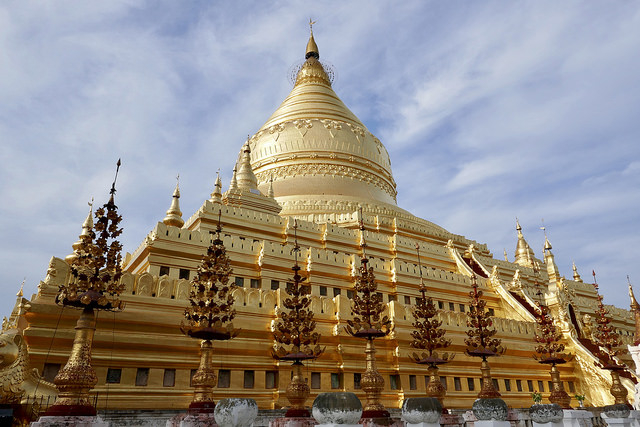 Upon arrival in Mandalay, start your sightseeing by visiting to Maharmuni Pagoda, the most venerable pagoda of the city, the Buddha image, completely covered in gold leaves. Proceed to Kuthodaw Pagoda as well, frequently dubbed as “ The World’s Biggest Book” for its collection of 729 marble slabs inscribed with Buddhist teachings. 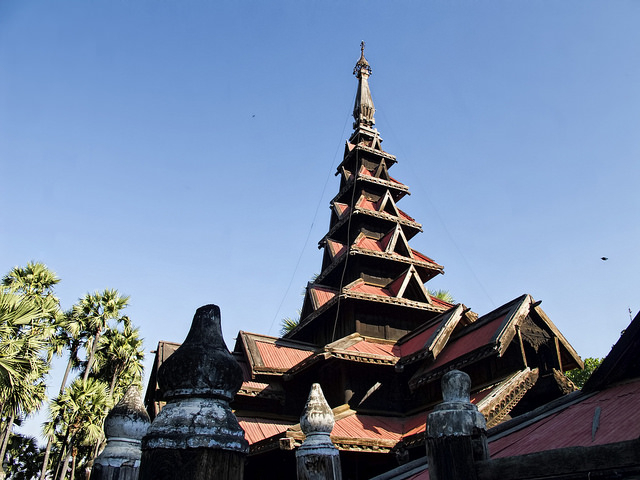 Moreover, visit to the south of Mandalay Hill which stands the Kyauktawgyi Pagoda, known as the pagoda of the Great Marble Image. Then it’s off to the Shwenandaw Monastery, the Golden Monastery. This impressive structure is celebrated for its remarkable woodcarvings. Sunset on the Mandalay hill. Cross the bridge over the Irrawaddy River towards Sagaing. You’ll visit pagodas such as Swan Oo Pone Nya Shin, U Min Thone Sae and Shin Pin Nan Gyaing. Continue to Sagaings local market, a less visited tourist site. 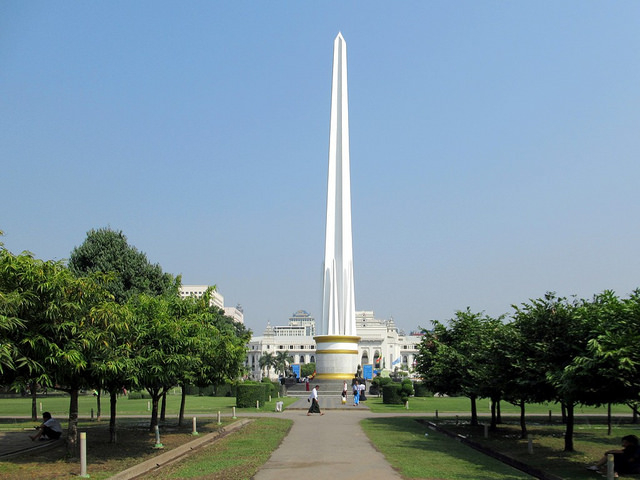 Next to Sagaing is to Ava which was the royal kingdom from 14th to 19th centuries. Cross the small river by ferry and travel in a traditional horse cart to the wooden Bagayar Monastery renowned for its extraordinarily elaborate woodcarvings and check out Maha Aungmye Bonzan Monastery. The afternoon’s activity is to visit to Amarapura, means” City of Immortality”. Frist you’ll be stopped at a silk weaving workshop. Once the sun starts to set, you’ll want to stroll along the legendary U Bein Bridge, which was built in 1849. In the early morning transfer to a jetty on the banks of Irrawaddy River where your boat is waiting for boarding. Depending on the water conditions there may be an opportunity to go shore for a village walk. On the water itself you will likely pass boats’ transportation goods, petrol or wood up and down the river, fishermen patiently casting their nets again and again or the occasional gathering of villagers on the banks washing or playing in the refreshing water. 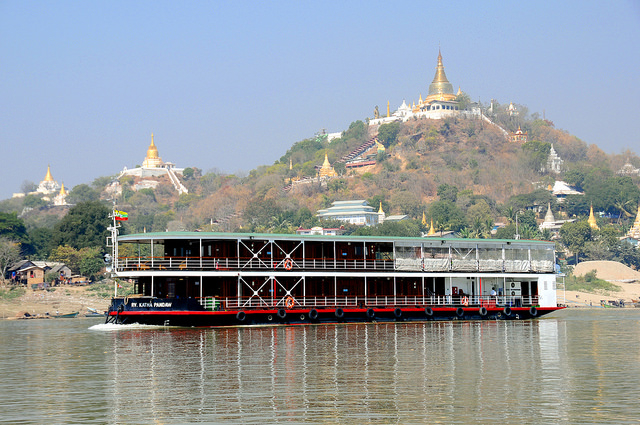 Depending on the water level the entire cruise takes 8-10 hours and generally dock at Bagan’s Nyaung U jetty around 16:00. 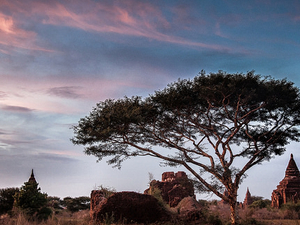 Spend a day discovering the rich history, interesting traditions and stunning monuments of Bagan. Your first visit will start with a colorful morning market, Nyaung U market. 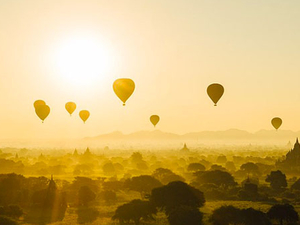 Then proceed to Old Bagan and visit the renowned Shwezigone Pagoda, constructed by King Anawyahtar in the early 11th century as a religious memorial. In the afternoon, continue your voyage to the Myinkabar village. Learn more about the local culture with a visit to lacquerware workshops, Bagan’s most famous products. Also visit to the Myinkabar Gu Byauk Gyi temple with its finest frescos. Finish your day by horse cart visit between the temples before enjoying the beautiful sunset of Bagan at one of temples. After the breakfast at the hotel, take the domestic flight to Thandwe without guide. Upon arrival at Thandwe airport , you will be welcomed by a representative of your hotel who will help you to go to your hotel. 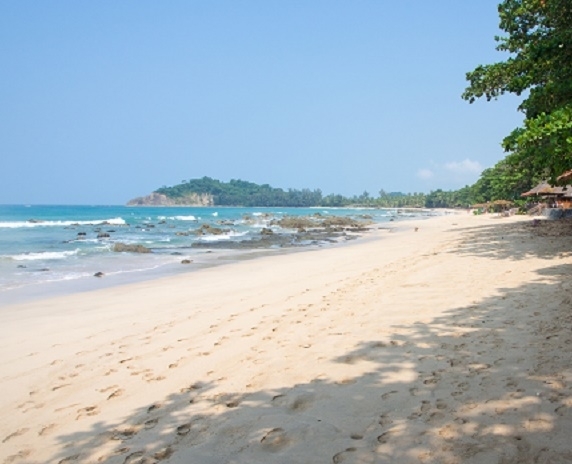 After your check-in to the hotel, you’ll be free for the rest of the day to enjoy the idyllic beach or take advantage of the hotel facilities. Free and leisure days at the beach while enjoying the pool service at the hotel. After the breakfast , you will be transferred to the airport ( depending on your flight schedule ) and return to Yangon. 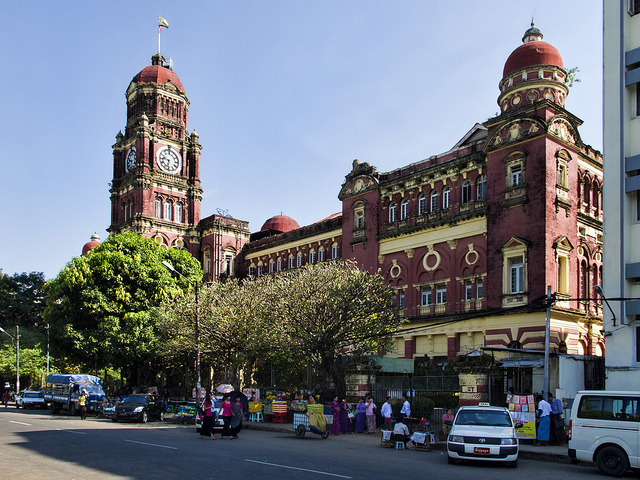 As soon as you arrive to Yangon, transfer to your hotel. Then in the late afternoon, visit to Scott Market for your last shopping in Myanmar. • Standard check-in is at 1400 hrs and check-out at 1200 hrs. • In case of earlier check-in or later check-out, there may be a fee imposed. Cancellation of tour from passengers must be made in writing and received by the Company. We understand that cancellations are a part of the travel business. So, we try to be as flexible as possible with our policy. We will always try to minimize any cancellation fees to all our clients. No refund will be considered in the event that you are refused entry to Myanmar by the Authority. The cancellation fee stated below applies. By Always Myanmar Travels & Tours Co. Ltd.